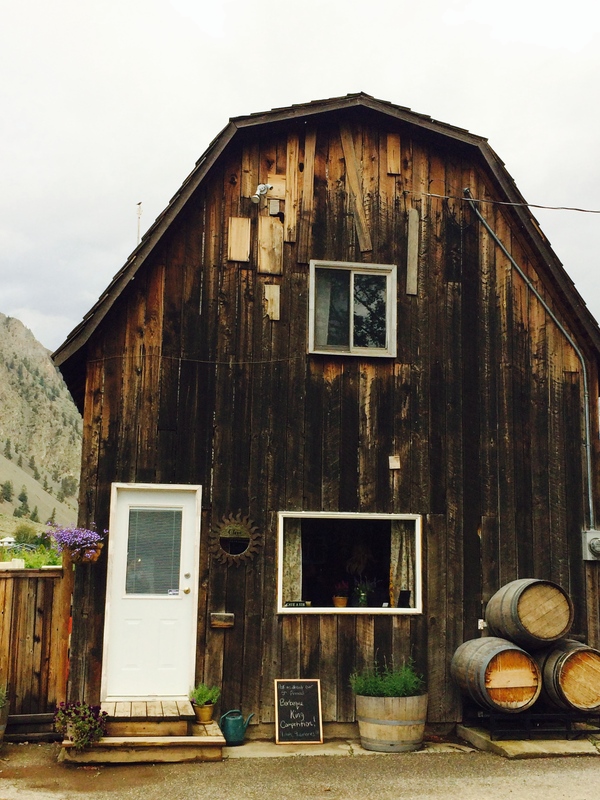 If you have ever been to the Similkameen Valley on a wine tour, you have probably stopped at one of the most intimate tasting rooms in BC- Clos du Soleil. One of the smallest tastings room we’ve been in to date, Clos du Soleil’s tasting room was in an old wooden barn located in Keremeos that fit about 15 people standing in the entire space. 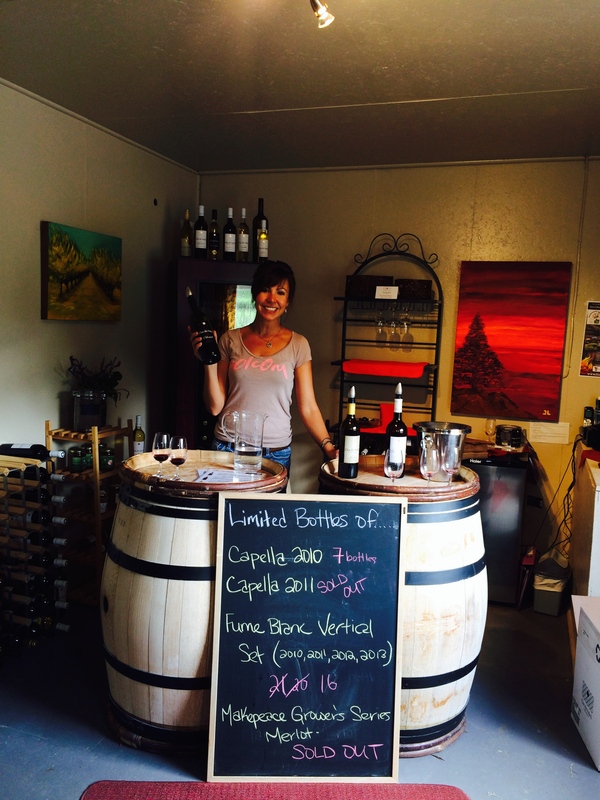 It was clear this was a temporary arrangement for tastings, but we just loved the intimate space and tasting wine on wine barrels. The winery also didn’t have room for that many people, meaning you didn’t have to deal with overcrowded tasting rooms. However, the time has come for Clos du Soleil to open a brand new tasting room, which is currently underway! 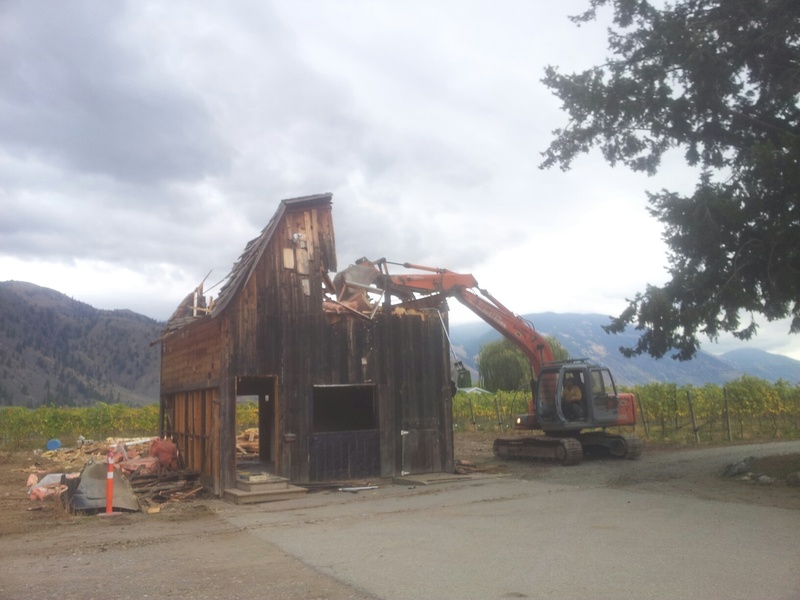 Just recently, crews demolished the old barn to make way for the new winery. 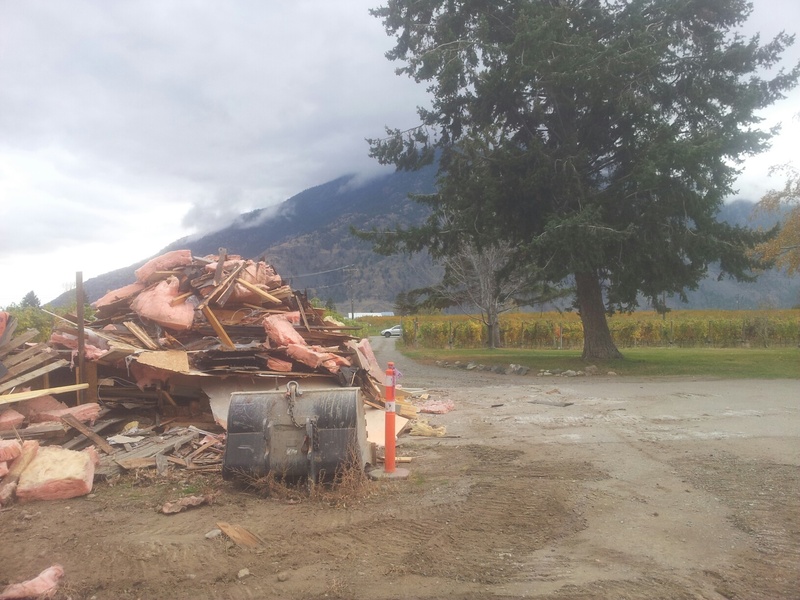 Don’t worry though- they salvaged some of the exterior barn boards of the old tasting room which will be featured in the new winery. 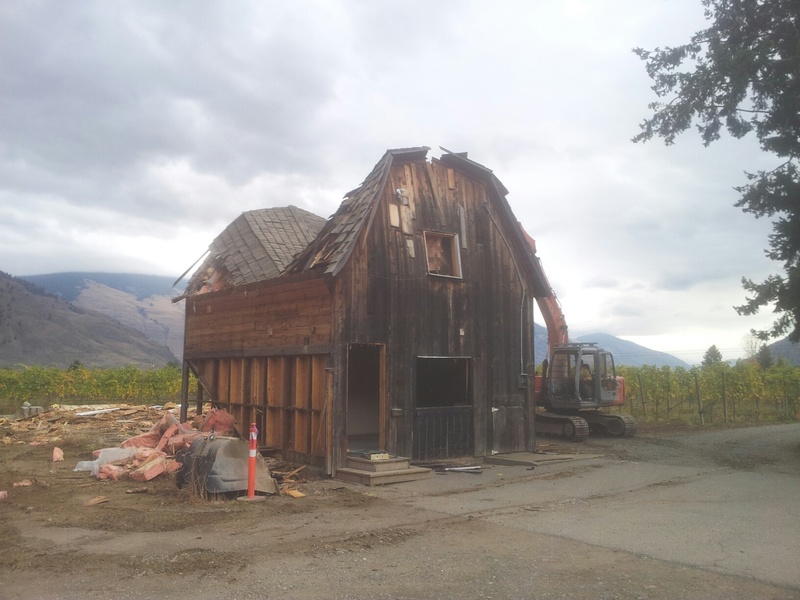 The new winery, set to open in May, 2014, will have space to host small intimate dinners and events. The historic farmhouse on the property will also be transformed into a small “farm stay” B&B starting this summer. 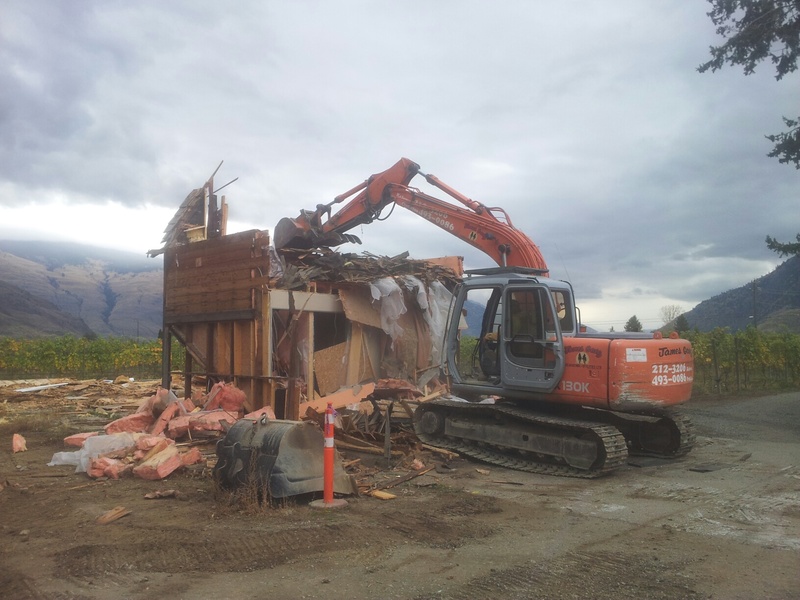 We can’t wait until Clos du Soleil opens its doors to their new tasting room! Great wines deserve a beautiful space to be tasted and enjoyed in and we are so excited to explore this new tasting room in the summer.